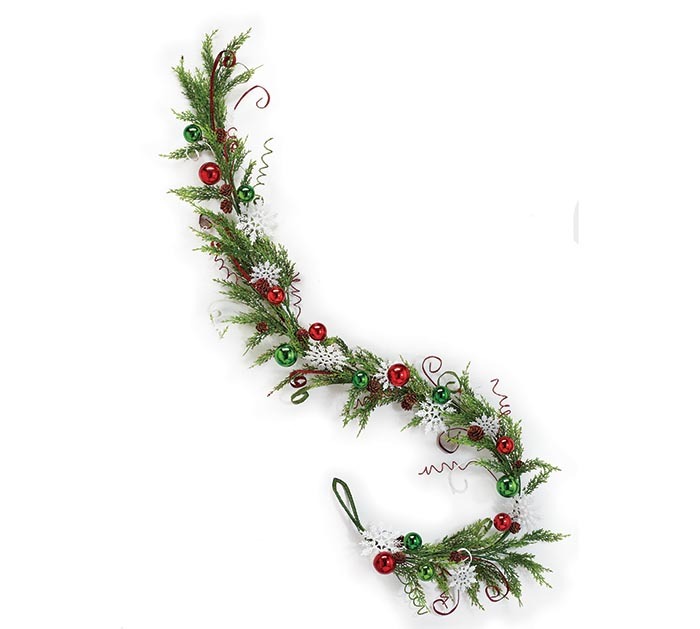 65" garland with snowflakes, red ornaments, green ornaments, and red and green glitter bands. Made of plastic, wood and glitter wire. 65" H x 4" W x 4".